Another rice variety from me.Many prepare this in different ways. 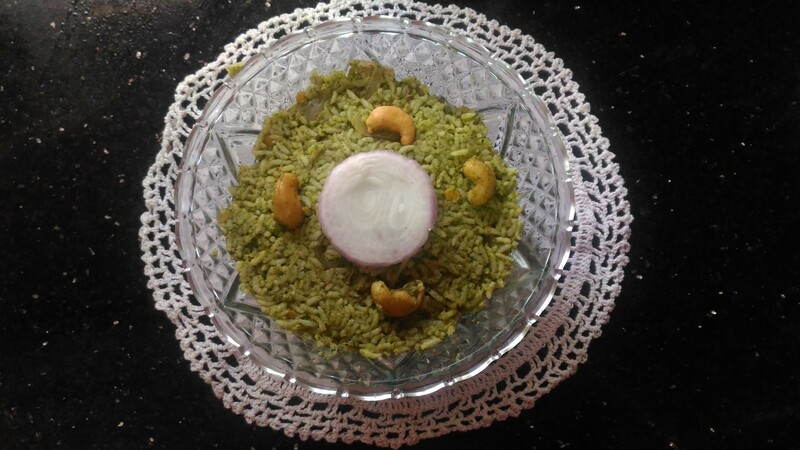 I learnt this from my mother.In this method rice and djal are cooked and then it is prepared. Veggies___peas,carrot,beans and potato cut into small squares. To roast and grind into coarse powder. Dry roast these ingredients and grind into powder. Fry these ingredients lightly and then grind it coarsely without adding water. 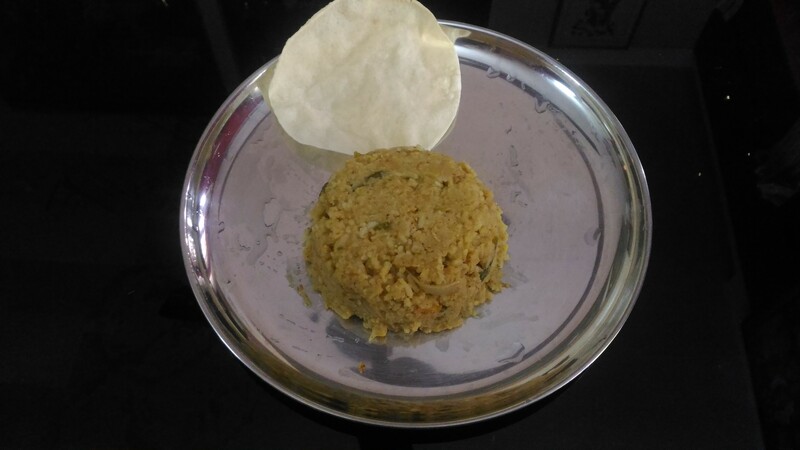 Cook rice and dhal separately. Keep cooker in stove.pour3 TBS ghee into it. Now add turmeric powder,hing and salt. After the veggies are half way done add the powder to it and allow it to boil. Add cooked shal first and then cooked rice finally coarsely grounded coconut. Add seasoning and chopped coriander leaves. It will be loose initially but will set after sometime. 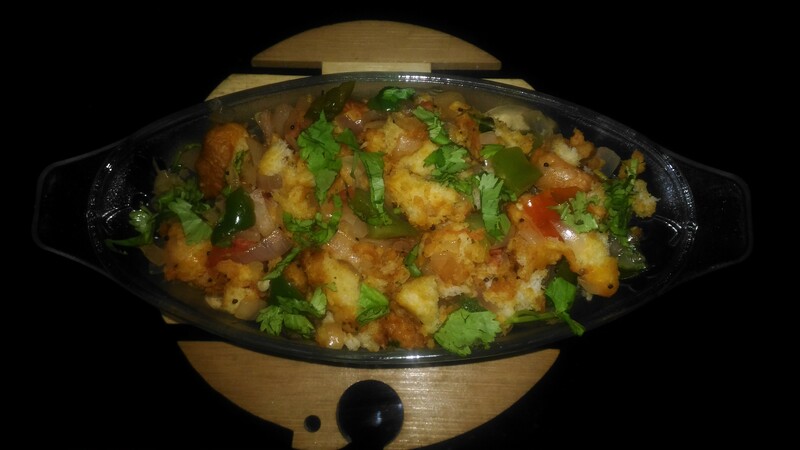 Serve with papad or vadams. 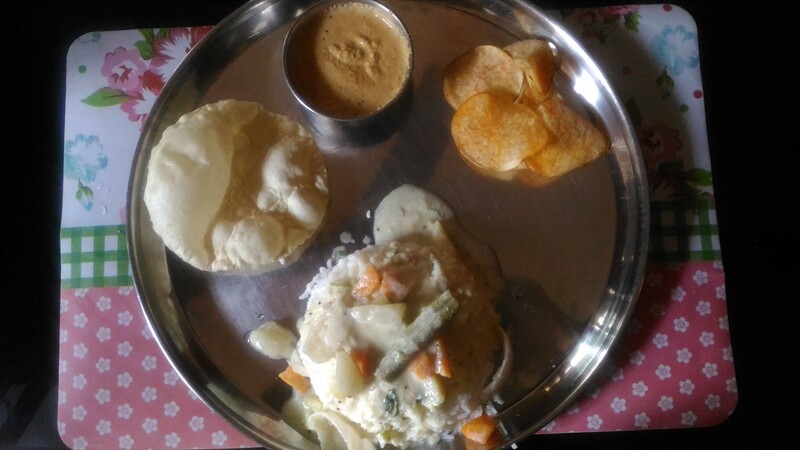 South Indian cooking,lunch box recipe,sambar sadam, rice recipes. Add chopped onions and fry then add curry leaves. Now add chilli powder salt as needed. 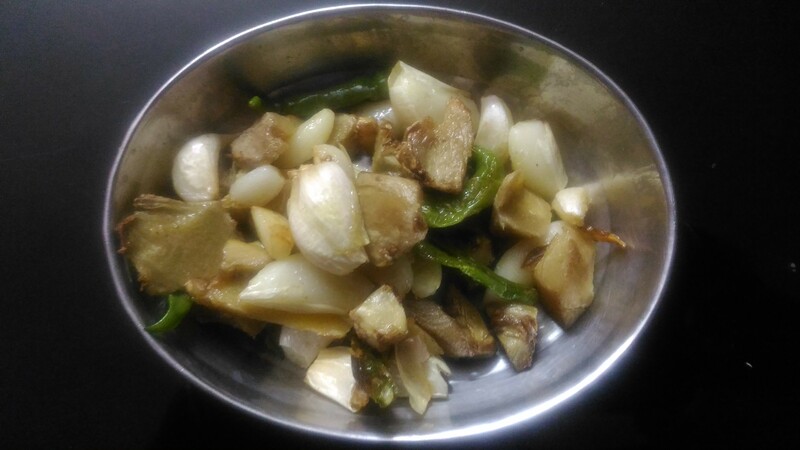 Side dish for rice.how to cook palakottai,jackfruit seed stir fry. 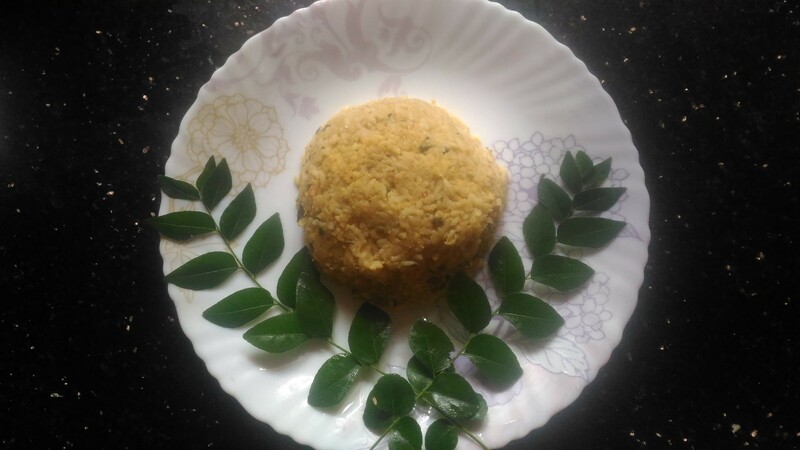 Another lunch box recipe from me.This is South Indian style,simple and easy recipe.Mint is a good source of vitamins and iron.I have used coriander leaves too. Ghee or oil ___1 to 2 TBS. Bengal gram dhal 1 TBS. In a kadai pour oil for frying. Now add red chillies,green chillies,garlic and onion fry for rew seconds. If you are adding coconut add now. Then add mint and coriander leaves and fry. When cool grind it into a fine paste.Keep aside. Now in a kadai add ghee if for small children or oil. 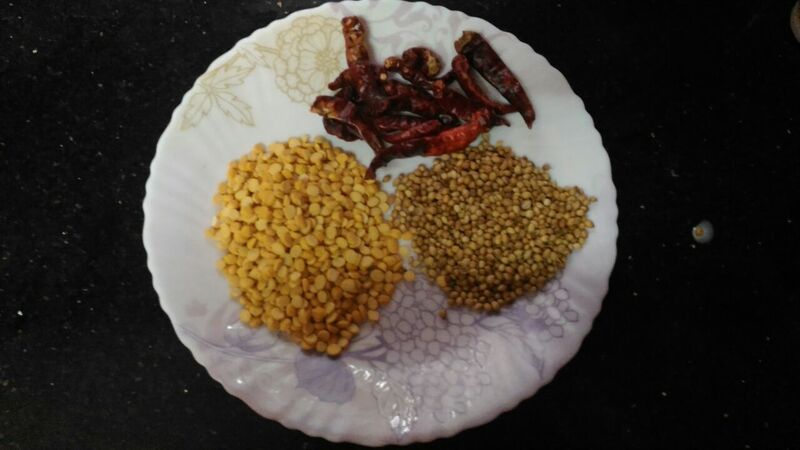 Put bay leaf and mustard seeds when it splutters add urad dhal then Bengal gram dhal and then cashews . Now add the ground paste and fry till the raw smell goes. Add salt and finally cooked rice. Can add any vegetables like carrots or peas to enhance the nuritive value. 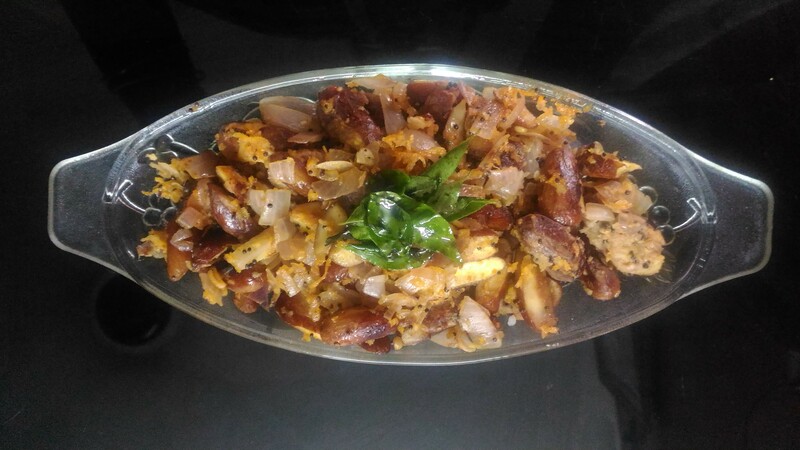 Another traditional recipe from my native place.This is famous in Tuticorin and Tirunelveli (South India).It is also called as Mapillai Sodhi as it is prepared on special occasions ,for guests also when giving feast for newly married couples. Beans,peas also can be added. Also increase or decrease vegetables accdg to your family taste. Fry these 3 ingredients and grind into a fine paste. Keep it aside. For thickening add powdered pottukadalai to the milk.Some add moong dhal for thickening the milk. 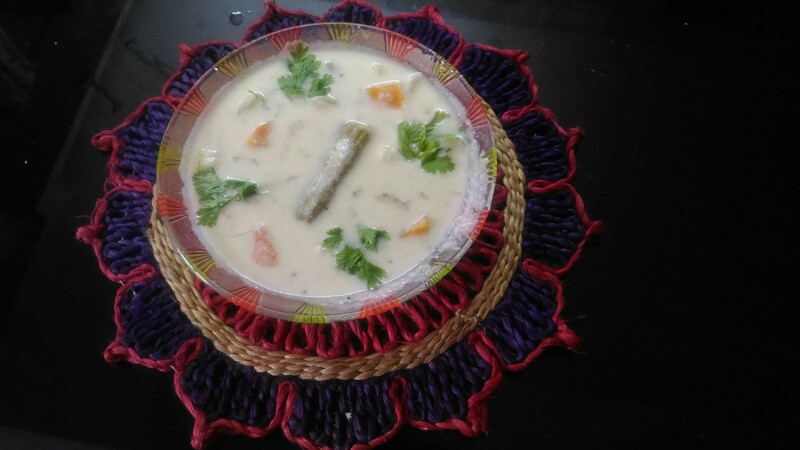 Coconut milk is extracted by processing grated coconut with some warm water. Generally 1 cup of grated coconut yields 2 cups of coconut milk. A simple way is grate1/2 coconut for 1 person. 4.we can squeeze with hand or press with a spoon. 5. This milk will be thick and creamy. 6.Again put in blender by adding 3/4/cup water and repeat the procedure again. 7. This milk will be thinner than the first one. 8.Again repeat the same with 1/2 cup water and extract.This milk will be pale and very thin. 1.Pour little oil in a kadai.Then add mustard seeds after it splutters addurad dhal when it turns brown then add curry leaves. 2.Now add onions and carrot.Fry a little when onion turns translucent add other vegetables saute for a minute. 3.Now add the third milk to the vegetable allow it to boil for few minutes add salt and grindedpaste to it. 4.After sometime add 2nd milkand cook. 5. When vegetables are done add the 1st milk..
Do not boil for a long time. When it mixes well.switch off the stove. 6.Add lime juice and finely chopped coriander leaves. 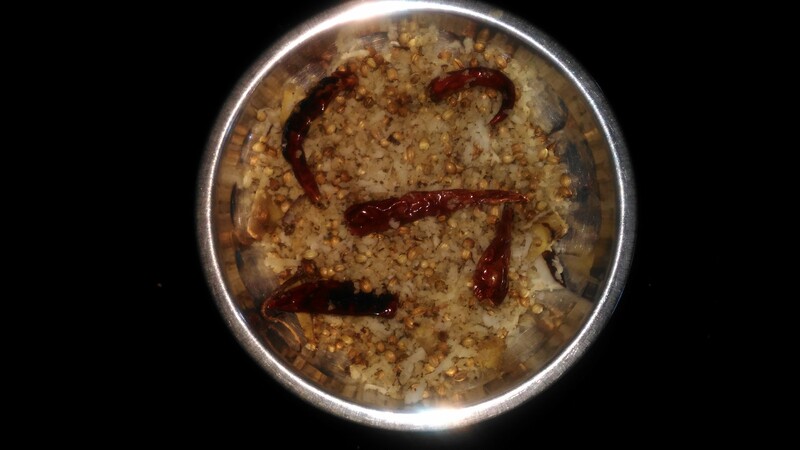 In a kadai put oil and fry all ingredients except salt and tamarind. 2.Put in blender and grind as chutney adding little water.